This is a Mono-yaki (Mino ware) pair bowl. 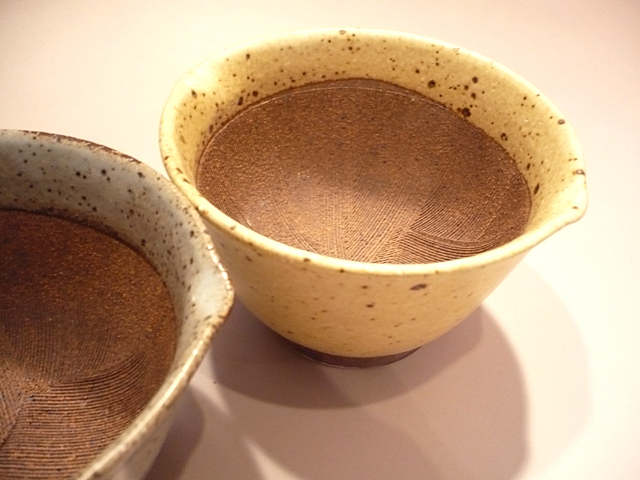 Mino-yaki is Japanese ceramic ware made in the towns of [W:Gifu prefecture]. 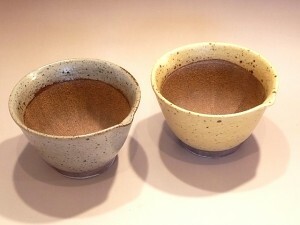 Mino-yaki is known as playful ware. It features bold shapes, unrestrained decorating and unique glaze. There are various kinds of Mino ware. They are well-used in Japan. As a matter of fact, over 50% of Japanese table wares are Mino-yaki.